Franklin resident Cash Garfield says he spotted the beast after having just finished mowing his lawn. "I thought it was a mountain lion or a cougar," said Garfield. "They've been known to be around here. It wasn't a bobcat, it was way too big." "At first, I thought it was [my dog]," he explained. "Until I turned around and saw him behind me. I was nervous. I was nervous. I mean those things can leap." Garfield spotted it again when he later came outside for a cigarette, but this time it was within 10 feet of his back door. "That’s when I called the Franklin police," said Garfield. An officer did come out and investigate, and Franklin police say that they've responded to a number of sightings similar to Garfield's. 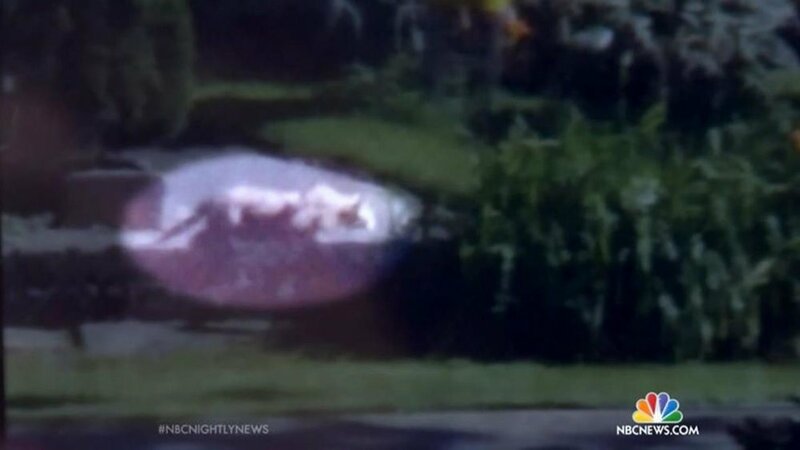 Garfield's sighting is reminiscent of the sightings of 2015, which had people in Wisconsin speculating on what the mystery animal--which to date has not been captured or identified--could be. Two police officers and a Department of Natural Resources (DNR) warden saw the creature during the 2015 spate of sightings, and all agreed that it was a large cat of some sort--possibly a mountain lion or African lion. The Wisconsin Department of Natural Resources says that Wisconsin has no breeding population of mountain lions, since they likely disappeared from the state by 1910. However, reports of mountain lions began to surface again in the 1940s, which the DNR attributes to escaped captive specimens or misidentifications. The DNR began collecting reports of mountain lions and other rare mammals in a standardized system in 1991, and, according to the state agency, while there have been several verified sightings of mountain lions in Wisconsin, there is still no evidence that a breeding population exists. Nonetheless, the DNR has reported that "DNA testing of biological samples and other evidence has confirmed that at least six individual male cougars have visited Wisconsin since 2008. Biologists believe these are male cougars dispersing from a breeding population in the Black Hills of South Dakota." According to reports collected by the DNR, mountain lion sightings in Wisconsin have occurred as far south as Iowa county, which is roughly equal in longitude to the Milwaukee area.